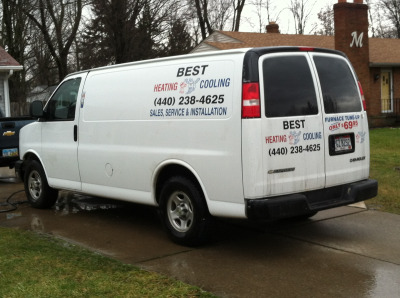 Best Heating & Cooling has been in business for over 30 years. We are a family owned and operated business. We are state licensed and insured. Our company offers Comfort-Aire, Goodman and Rheem as our main line of products but can service and repair all makes and models. 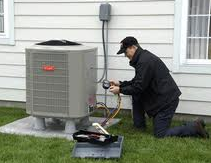 The technicians here at Best Heating & Cooling are all CFC certified. We have free estimates on new installations with same day installation. 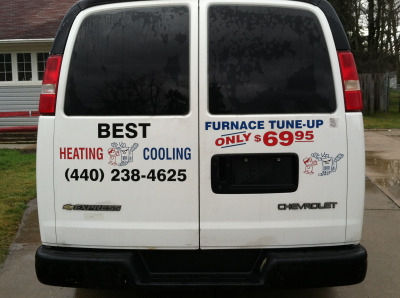 Best Heating & Cooling offers 30 day warranties on our repairs and 1 year manufactures warranty on parts. $250 Off Comfort-Aire air conditioning, gas furnace or heat pump. 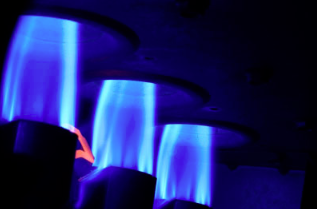 We install air conditioners, furnaces, humidifiers, water tanks, thermostats and more! Senior and U.S. Veteran discounts available! I called from a mailing coupon to get a quote and the owner tried to refuse service off the bat saying that "most people this time of year wait till fall". I informed him it&apos;s going to be in the 30&apos;s for overnight lows. He said "oh really? " If your running this type of business it would be in the companies best interest to know what&apos;s going on with the weather. I tried to get a quote and he gave several after I explained the issue. And having 8+ years of property management experience, I know what I&apos;m talking about. Well he quoted $200-$500 and then he said it could be $1600.00 I told him I was getting quotes for the homeowner and am waiting on a friend who is HVAC to give me a call with a quote and this man said "Well then let him fix it! " and he hung up on me. Very unprofessional with extremely poor customer service. Best Heating and Cooling was wonderful when we replaced our furnace in 2007 and we&apos;ve had them back to service our furnace and A/C since. Their employees are professional and personable and I would definitely do business with them again. Prompt, courteous and more than fairly priced. Four years ago I decided to finally replace the 20 year old heating and cooling system in my house. While the units were still functional, they weren&apos;t efficient and constantly needed repair. Best Heating replaced the entire system with better efficiency for a more than fair price. I finally decided to get a clean and check up on the system and it continues to run better (less noise and lower monthly bills tha than that old unit that was in the home. Great Service - Went to turn up my furnace and nothing happened. 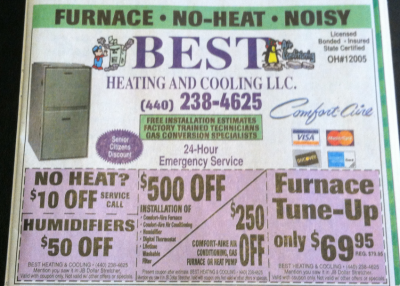 Received a mailer from Best Heating and Cooling so I called them. Much to my surprise, they made a service call at 10 p.m. It was nice to see that some companies really do care about service. Thank you Best Heating and Cooling, you will always get my business first. Wow! love the Co. Mr. Paison came out to look at my Furnace. We had another Co. instal the furnace and every few months after the 2nd yr. we would wake up to a Cold house. 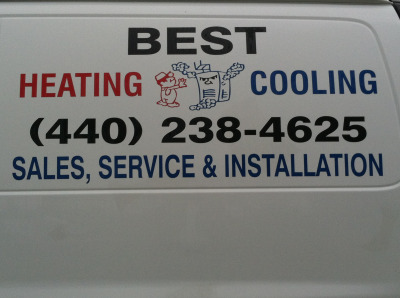 I finally Call Best Heating and Cooling. Mr. Paison went over the Furnace and found that the other Co. had wired something wrong. Which was the reason the furnace kept shutting off. Not only that but the part that we had to keep "buying" was under warrenty!!! Thank You Best Heating and Cooling!!! I just wanted to leave a review to say that I was very impressed with the service I received from Best Heating and Cooling. Mr. Paison was prompt, courteous and professional. I will definitely use their services in the future and will reccomend them to my friends and family! Thank you Best Heating and Cooling for a job well done!